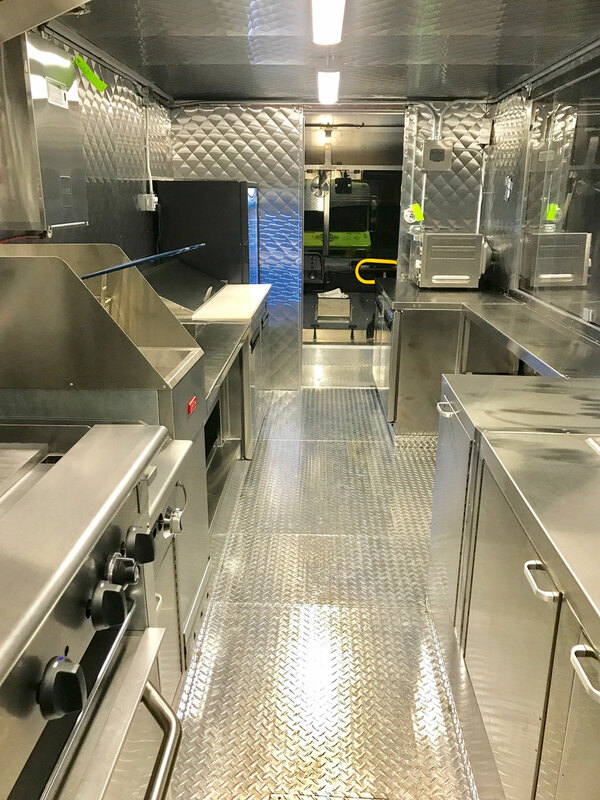 Our team has over 25 years of combined knowledge and experience in building and fabricating custom commercial vehicles for the foodservice industry. Our team has worked on projects with such national brands as Hormel Foods, Rolling Rock Beer, Johnsonville Sausage, Stouffers and others. We also pride ourselves on working with brick and mortar restaurants looking to “Go Mobile” such as The Balkan Express, Steve’s Prince of Steaks and many others. 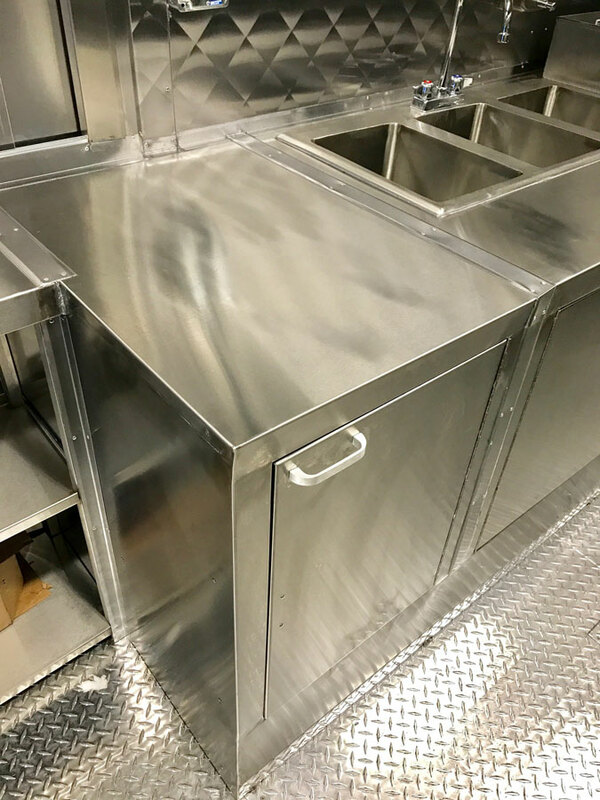 Industrial Food Truck custom fabricates everything from the work counters to the exhaust hood system. We do not order these items from outside vendors and simply ”drop them in”. We make sure that every inch of your vehicle is being used to your advantage. The only wood used in the construction process is in the sub-floor (if required) and is completely sealed off. 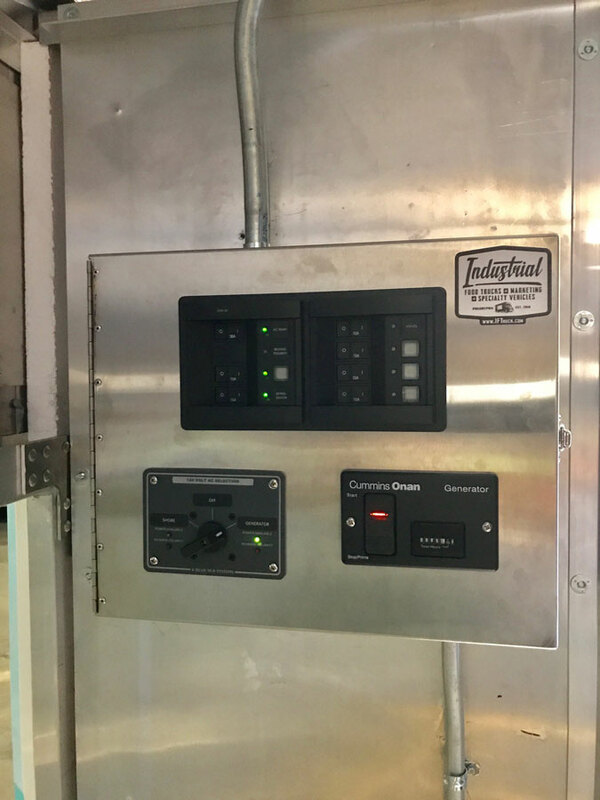 Industrial Food Truck does not carry any warranties on equipment that is not fabricated and installed by Industrial Food Truck. All equipment installed has a transferable manufacturers or supplier warranty. Any warranty issues with equipment must be dealt with the original manufacturer. 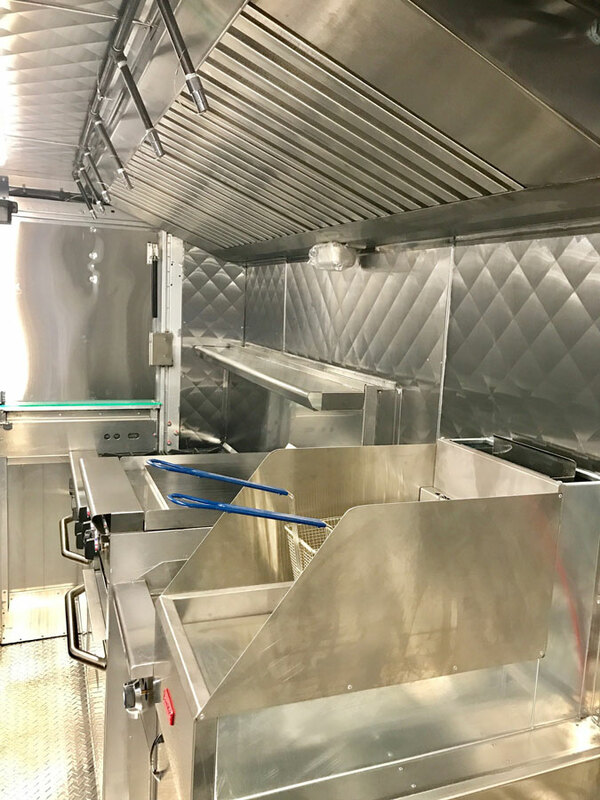 Once equipment is installed, a secondary inspection is performed and the Food Truck is inspected. Industrial Food Truck not only manufactures but we have the ability to ship the food truck to your location. No need for you to worry about the logistics of moving your food truck once it is complete. We can ship almost everywhere. Give us a call 1-215-596-0010 to discuss your shipping requirements. From helping you to realize your dream and enter the mobile food industry to expanding your billion dollar brand to include a mobile platform, our team can facilitate you needs and help you reach your “end game”. A draw of 40% plus applicable taxes when initial skinning of the truck is completed. If a truck is to be purchased by Industrial Food Truck, the purchase price and any mechanical work is to be paid in full by the customer at the time of purchase or work performed. 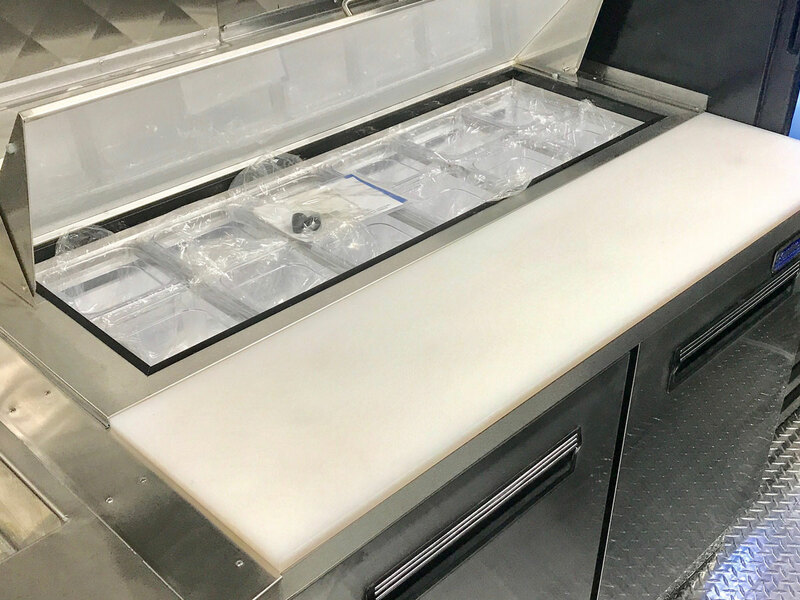 As all mobile food units are custom made specifically for the intended application of the purchaser, deposits are non-refundable. Industrial Food Truck will at its discretion attempt to find a secondary purchaser with a standard 20% reassignment fee deducted from any deposits or payments made prior to the default. There is no guarantee Industrial Food Truck will find a secondary purchaser. Industrial Food Truck cannot be held responsible for the availability of equipment & supplies from outside suppliers. 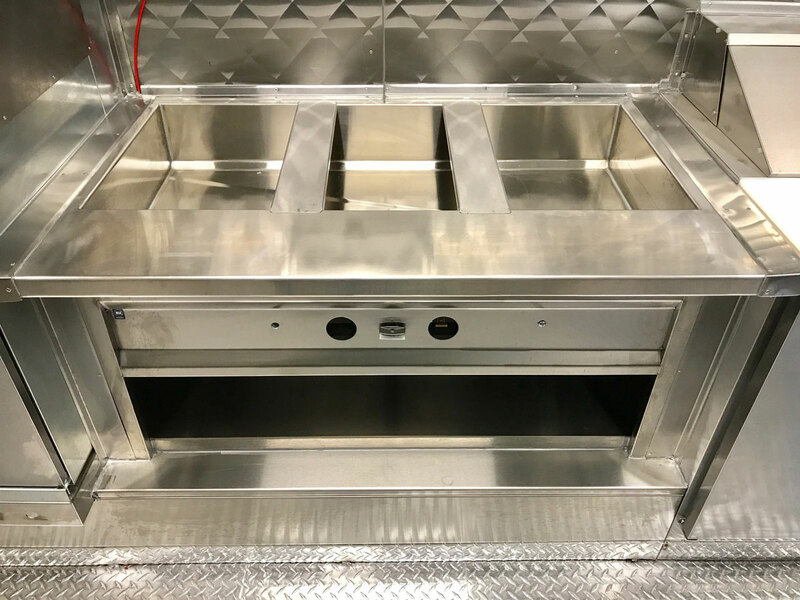 Standard manufacturing time for a food truck is approximately 6-16 weeks from the date of the initial 50% deposit. 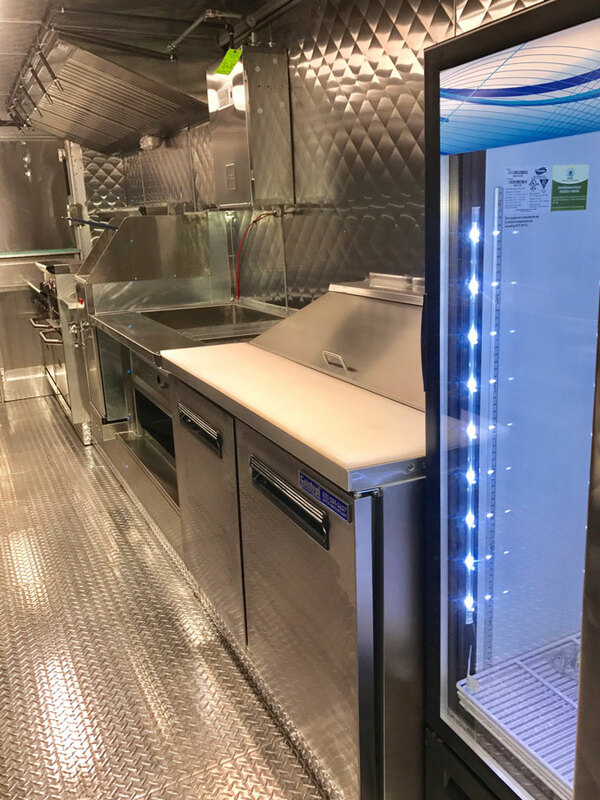 The initial deposit guarantees a placement in the work queue but may not necessarily create the commencement of the manufacturing process of the mobile food unit at the same time. Truck owners must have a minimum of Storage Insurance on any vehicle left at Industrial Food Truck. Industrial Food Truck will not be held responsible for any damage or theft to customer vehicles. 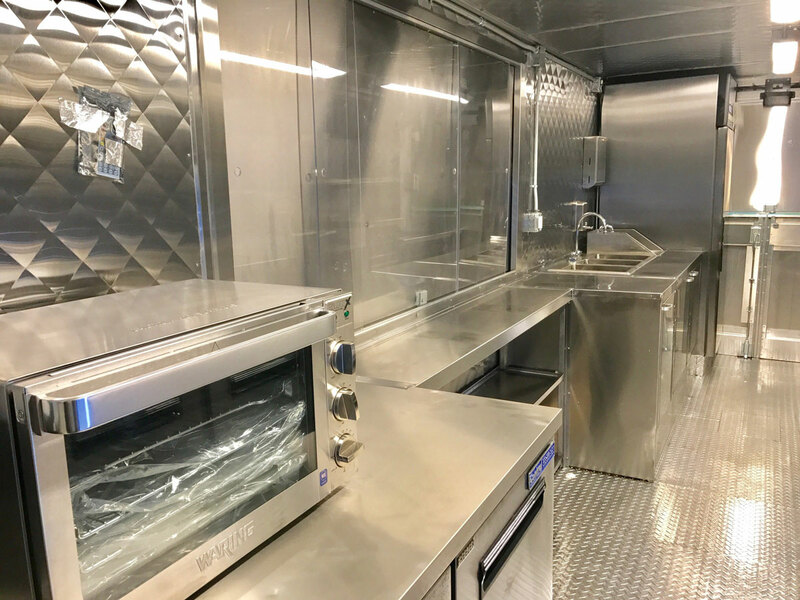 Industrial Food Truck carries a NON-TRANSFERABLE LIMITED WARRANTY on its mobile food units for one year from the date of completion. During the warranty period, if any Industrial Food Truck manufactured part should fail due to defect, it will be repaired or replaced free of charge once written authorization from Industrial Food Truck has been given. All workmanship and equipment manufactured by Industrial Food Truck is covered directly by Industrial Food Truck. Industrial Food Truck cannot be held responsible for any loss of business which may occur due to any part or equipment failure. 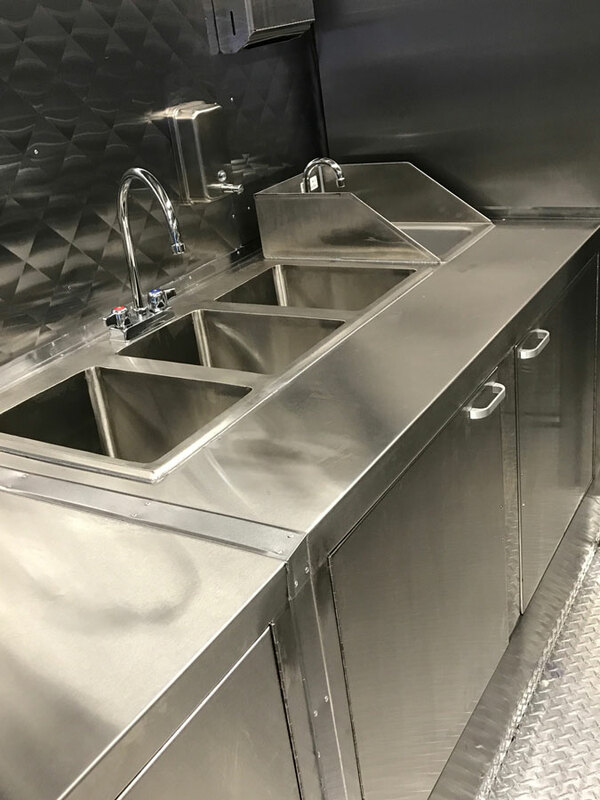 If Industrial Food Truck is not able to inspect the requested repair, the mobile food unit may be taken to the nearest Industrial Food Truck approved facility appropriate for the requested repair. A repair technician will then inspect and provide an estimate of the requested repair(s). 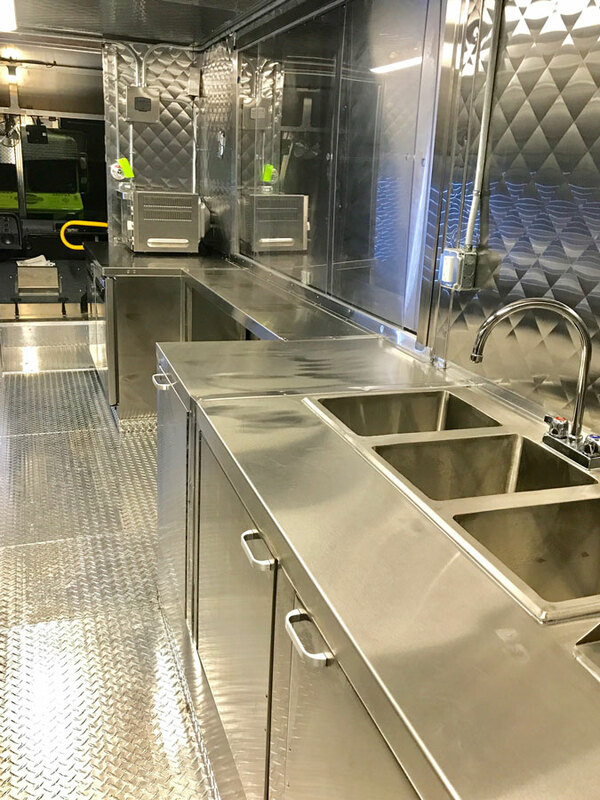 Upon Industrial Food Truck receiving the repair estimate and discussing with the repair facility the intended repair procedure, at its discretion Industrial Food Truck will then authorize the repairs and provide payment for said repairs. No repair work is to begin without written authorization from Industrial Food Truck. All work or replacement parts must be authorized by Industrial Food Truck prior to proceeding. 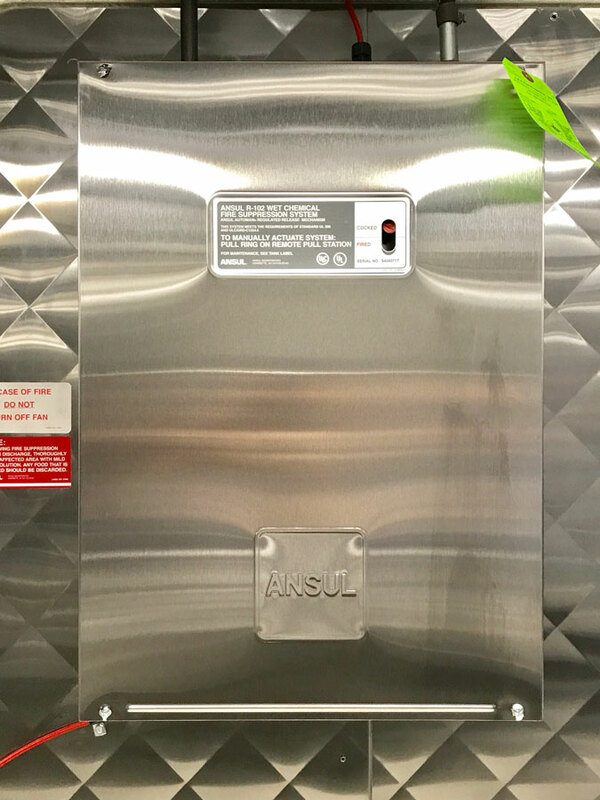 Warranty on all internal or external equipment that is supplied by Industrial Food Truck but not manufactured by Industrial Food Truck carries its transferable original manufacturers or suppliers in-house warranty policy. 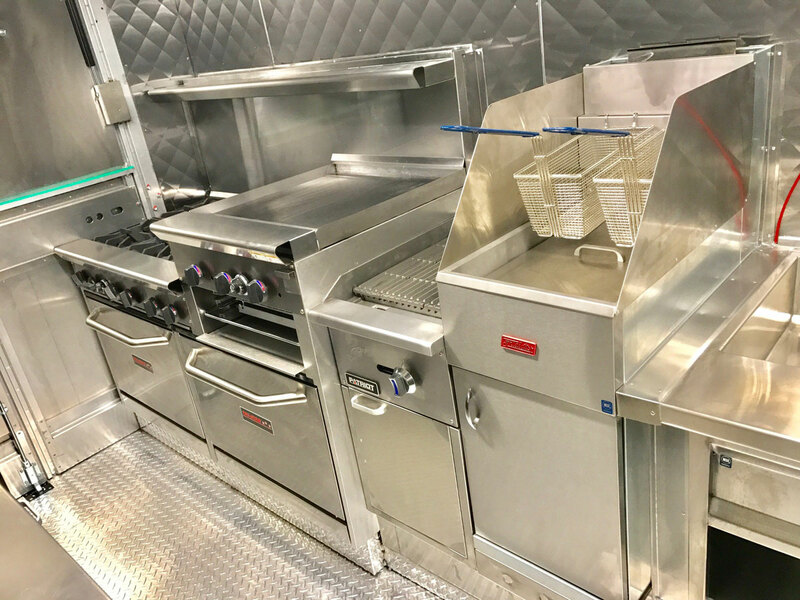 All equipment repairs requested on equipment that is not manufactured specifically by Industrial Food Truck will need to be initiated with the original equipment manufacturer or supplier in the case of a supplier warranty. Industrial Food Truck is not responsible for and cannot conduct any repairs to any equipment that is not manufactured by Industrial Food Truck. Other types of damage, but not limited to misuse or abuse, are not covered under the warranty of Industrial Food Truck. Alterations, Misuse, Abuse or Negligence in operation void all Industrial Food Truck specific warranties. Industrial Food Truck handles all your shipping needs through our local logistics and brokerage companies and we are able to ship anywhere in the world. And even though it is rare, you will deal direct with any damages that may occur while in transit. It is the responsibility of you, the customer, to inspect your unit upon arrival and report any damages immediately to the shipping company, the carrier and Industrial Food Truck. Please record any damages in writing as well as by photo. Industrial Food Truck will deal with all the customs clearances and brokerage so there is no worry about your order crossing the border. Industrial Food Truck also covers the costs of the brokerage fees.